Have you ever tried candied lemon peel? 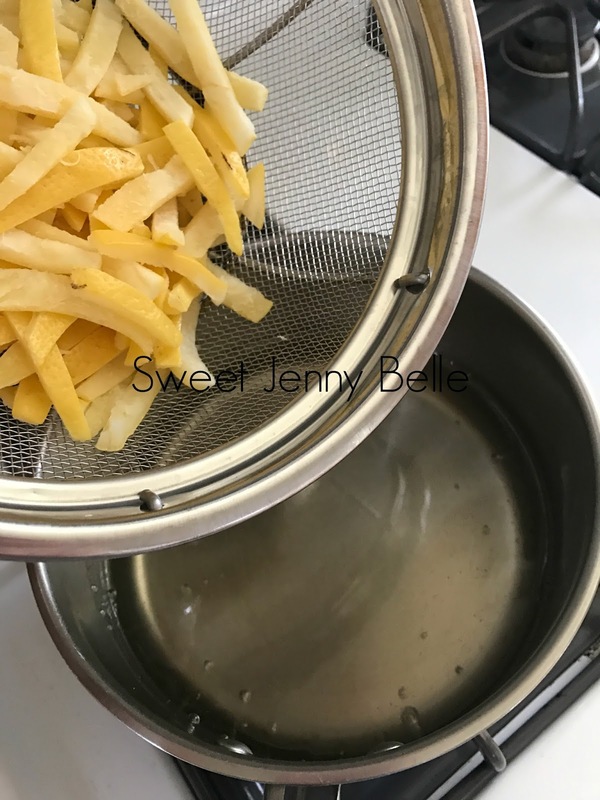 It is an incredibly refreshing and sweet candy that is easy to make in your kitchen! 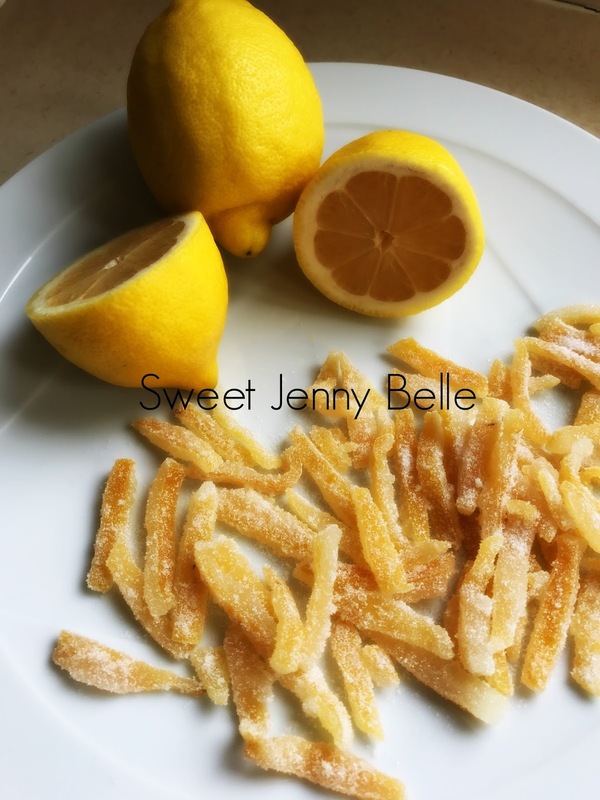 I'm in the process of creating a new spring roll out cookie recipe and candied lemon peel is one of the key ingredients. 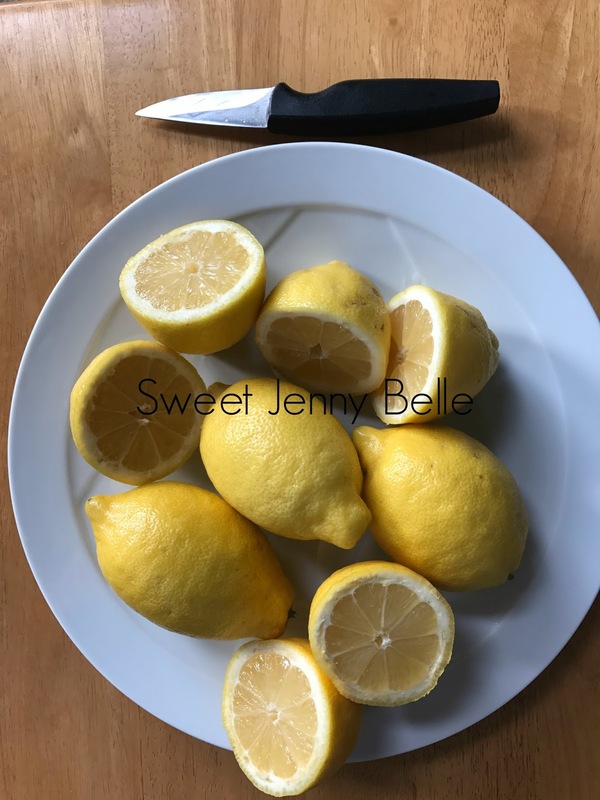 Lemon is a fabulous flavor to enjoy all year, but it always calls to me especially in the summer months. I think you will find a number of desserts and breakfast pastries that would be lovely paired with this candied lemon peel. It's so easy - let's get started! 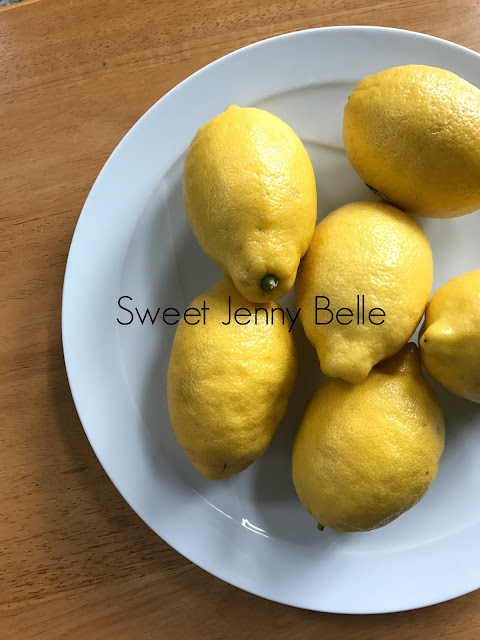 First pick the most gorgeous lemons you can at your local grocer. You will need 4-6 lemons depending upon the amount of peels you would like. Make sure the skin is free of blemishes and feels ripe. Next you will need to cut and juice the lemons. Be sure to reserve all the delicious juice for your next lemonade or meal. I kept mine for my lemonade buttercream that I will be sharing later this month. After the lemons have been juiced, Carefully remove the flesh and thicker parts of the pith and dispose. 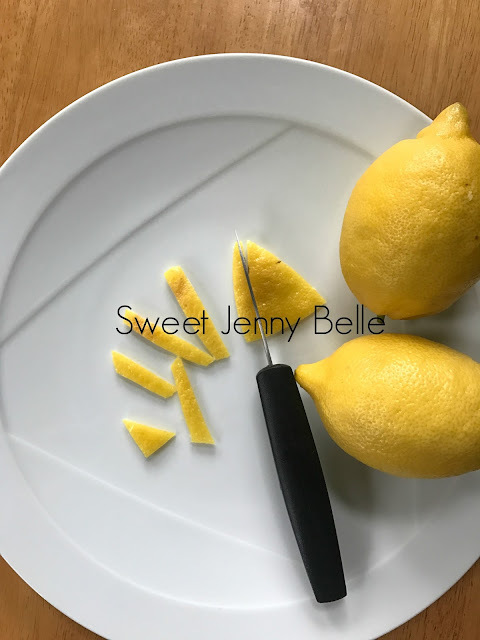 Don't scrape the insides of the lemon too harshly - the acidity will be cooked out and you want to have a nice, meaty peel. Place all the lemon peel strips into a pot and fill with water until they are covered. Bring water to a rolling boil and cook for 5 minutes. Drain the water and repeat the process one more time. 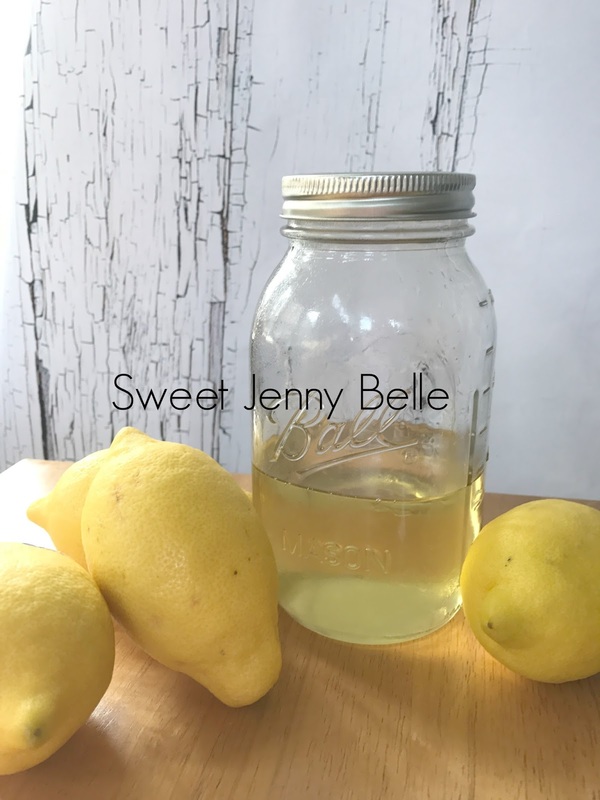 I only boil my lemon peels twice, but it is very important to drain and refill the water. While the lemon peels are draining, you will need to bring a simple sugar to a boil. Place 2 cups of white, granulated sugar into the pot with 2 cups of fresh water. 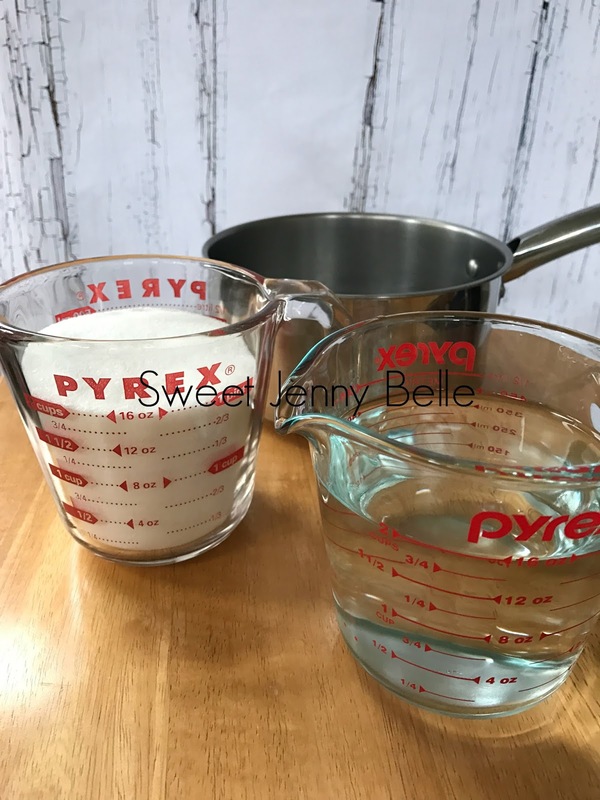 Heat the simple sugar to a rolling boil. Carefully place the drained lemon peels into the boiling simple sugar. Lower the heat and simmer for 90 minutes. 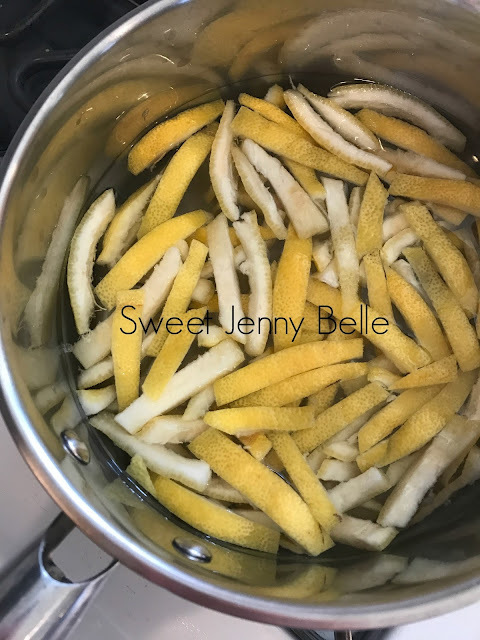 After the peels have simmered for 90 minutes, carefully drain and reserve the lemon simple sugar. This is an amazing treat and shouldn't be tossed down the drain. You can use it to sweeten your homemade lemonade or for mixed drinks - maybe a lemon drop martini, yum! 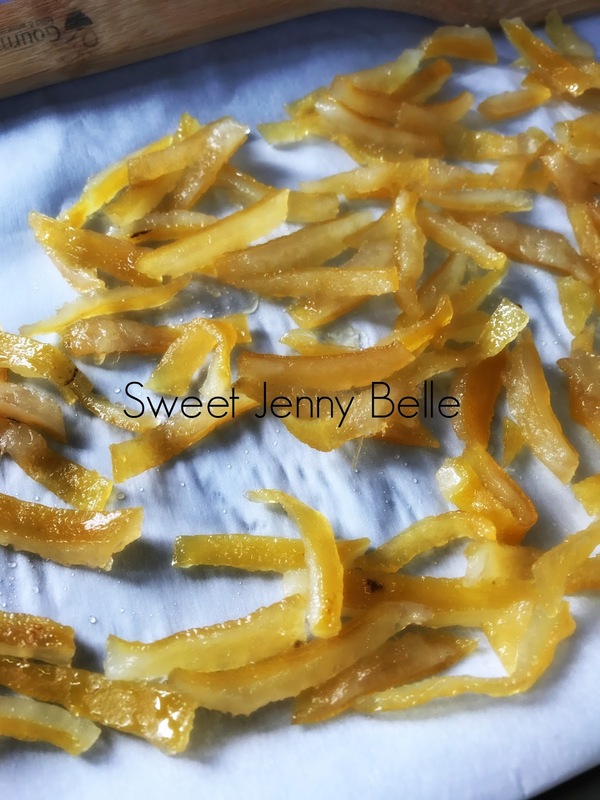 Lay out the sticky lemon peels on a piece of parchment to dry for about an hour. You would ideally like to lay them in a single layer to drain the excess simple sugar. 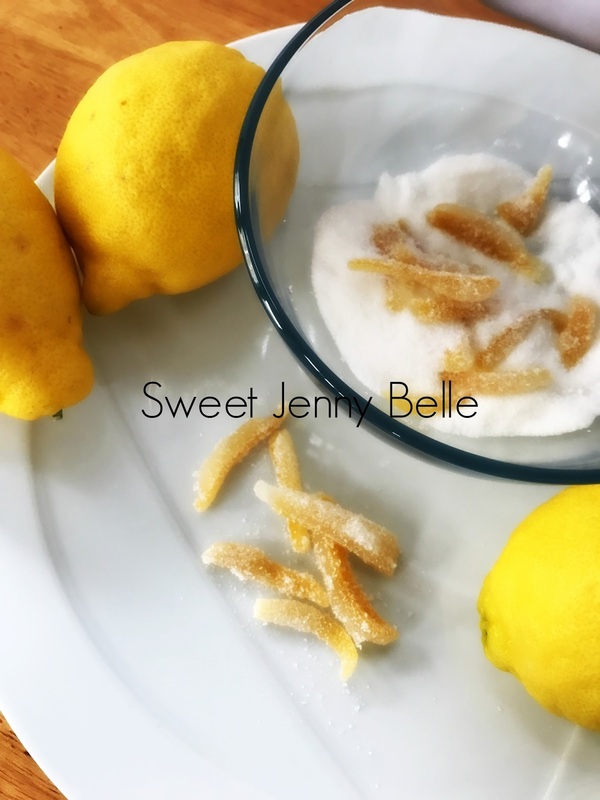 Gently coat those delicious candied lemon peels in a bowl of fresh white, granulated sugar. Make the surface of the peels are well coated or you will have a sticky mess. Lay the coated peels on a new piece of parchment and allow to dry overnight. And my friends, that's all there is to it! 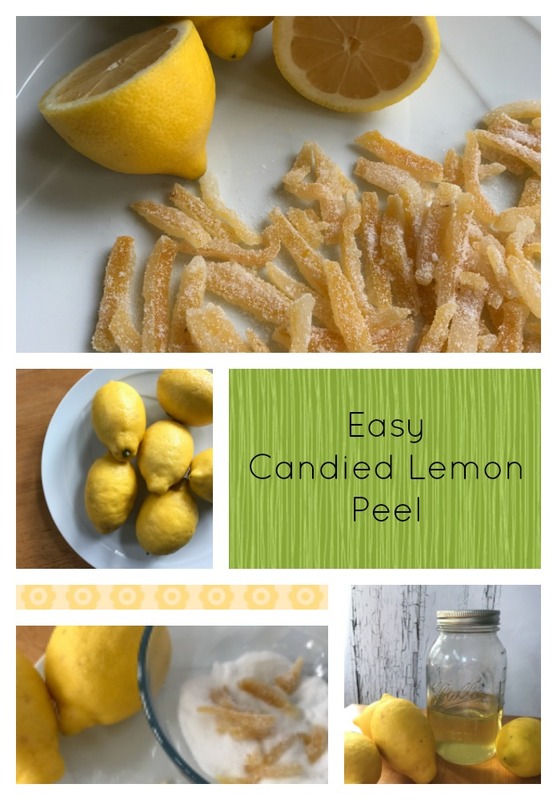 Your tasty candied lemon peels should be stored in an airtight container. There are so delicious just as they are - I had to shoo my three children out of kitchen because they kept stealing them for a sweet snack. You can toss one into your lemon drop martini, dip them into white chocolate for a special treat or chop them and place on cakes! Come back soon and I'll show you where these tasty morsels are headed. I want to print this recipe but I'm not finding it in print format!